We are in Maidstone Town Center, where you can find lots of car park, Between 6.30pm and 8am there is an overnight charge of £1.50. On Maidstone’s bustling High Street, local foodies can discover the bold flavours and prime steaks that Argentina is famous for at Buenos Aires Restaurant. This popular eatery is well known for its friendly service and tasty Spanish tapas menu, which is ideal for sharing with friends and family. 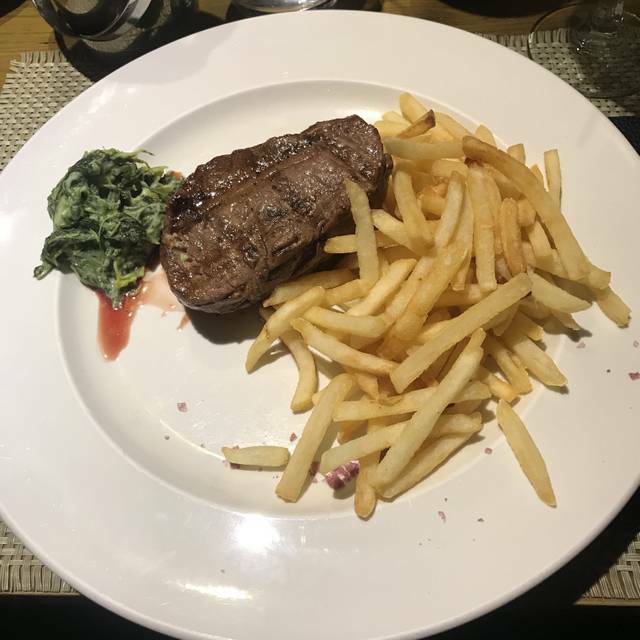 There are plenty of traditional Argentines dishes on offer, including empanadas, chorizo and succulent chargrilled fillet steaks with blue cheese or black pepper sauce. Diners can enjoy fine wines from the restaurants hand-picked list and for dessert there are home-made pancakes. 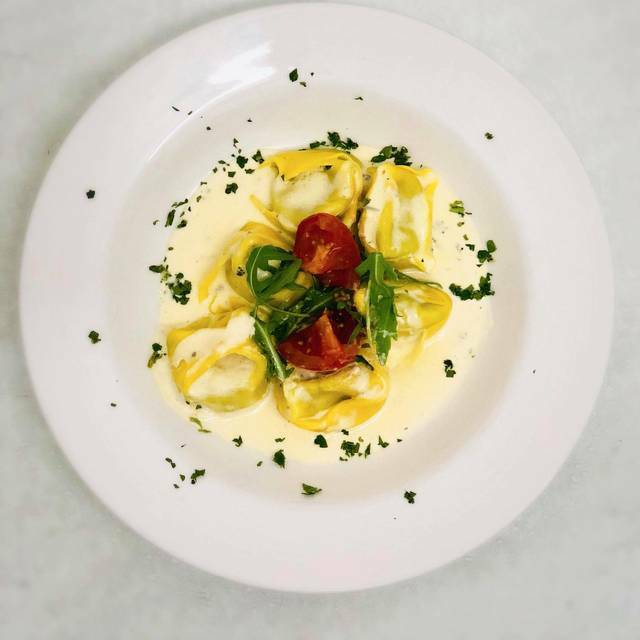 If you’re having lunch with friends, dinner with a date, or feeding the whole family, Buenos Aires guarantees great food and good times. Lovely restaurant, very very good food, service was great, just very pricey! Great food. A little pricey. Great house wines too. The staff were all lovely and helpful. Food was amazing! Lovely food and intimate atmosphere at a fair price. I know some people avoid it, however, due to the gratuity automatically being added to the bill, creating a possible uncomfortable conversation. Could do with a little more lighting though, very dark inside. Absolutely great place to eat and drink. Great service by all staff and each and every person that served us were ever so friendly and happy. Food was amazing and by far the best steak in Maidstone. Thanks to you all. Been here many times - absolutely love it. Staff are friendly, prices are reasonable and the atmosphere is great. If you're trying to decide between here or Miller & Carter it should be Buenos every time! It was our first mother’s day and memorable one. Excellent food and service. Thanks BA nights. First steak was over cooked, however happily exchanged. The second was perfect and very tasty. You don’t get much for the price though, pretty much steak and chips. Service was good, limited dessert menu. In general the meal was good, but I won’t be returning. Steaks are amazing, Blue cheese salad a must. Staff, service and food all Brilliant. The best steak dinner I have eaten in years and the service as good as any top restaurant I have ever frequented, and I been have to a few, world wide. Another fantastic evening, lovely welcome from Jessica, great food as usual. Best ambience from a restaurant in Maidstone. Eve of a Friday night it was busy but the service was still excellent. Really good food, excellent service provided by Lyndsey, very polite and professional. 2 ladies served me and my partner I didn't get there names, it was Saturday at 5pm and there service was brilliant as was the food. After trying for a few weeks to get a table at Buenos Aires, I eventually managed to get a table booked for this weekend. It was well worth the wait.....the food was amazing, the service was efficient and friendly and the restaurant has a great atmosphere. Going out on a limb to say it’s the best steak I’ve ever had. We went for dinner on Saturday at 7.15pm and were seated promptly. The drinks service was quite slow during the meal. We asked for sauces (ketchup and mayonnaise) with our mains and they never arrived. The waitress did apologise to us for the slow service at the end. The food was really tasty so I would return. Fabulous as always, normally get served by Jessica who is so nice and is always attentive and interested but not intrusive. Food was amazing especially the steak and cheesecake! Oh and the wine! The staff at BA are great and the food is always good. I have been going there for many years now and have always enjoyed every visit. Food was amazing, service was great, what more can I say. The restaurant was lovely needs updating with better and more comfortable tables and chairs the food was lovely and the waiting staff just brilliant we went for my daughters birthday and they really made her feel special. Arrived at 7:55,and then waited 10 minutes at our table before being given menus. Starters almost thrown onto our table by our waitress. Waited 20 minutes for a glass of prossecco. We wanted to wait after our main course before having a dessert,but gave up after 40 minutes of sitting at our table,and being ignored. Manager was very apologetic and reduced our bill by 25%,but the evening was already spoilt. First and last time for us. 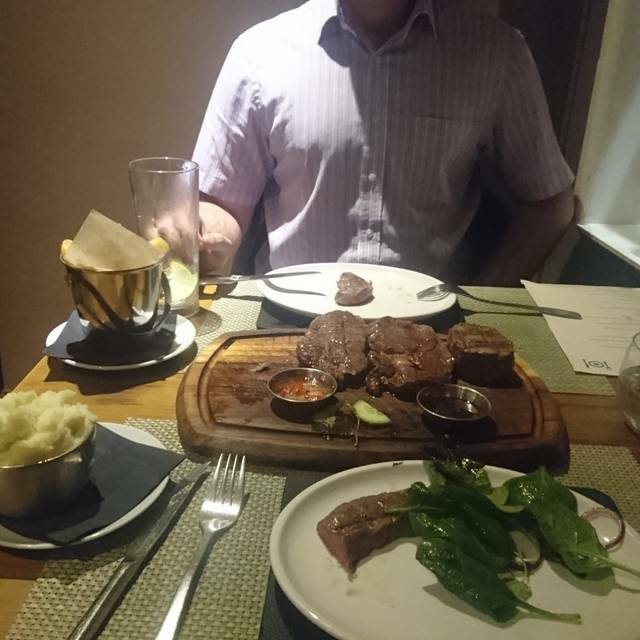 Amazing..... Best steak me and my partber have ever had... service was outstanding and the food was great value for money..... safe to say we will be returning! The best steak restaurant around ! Had an absolutely lovely meal for our anniversary. The steaks were excellent but the stand out for me were the cheese and onion empanadas and the humita. Wonderful service too - Jessica was a delight and very knowledgeable around the wine list. We went on a Monday night and all bottles of wine are half price. No hesitation in recommending. Just a very good steak restaurant. Don't go because you think you are getting something Argentinean it is just good steak. Can be very cramped dependant on where you are sat.